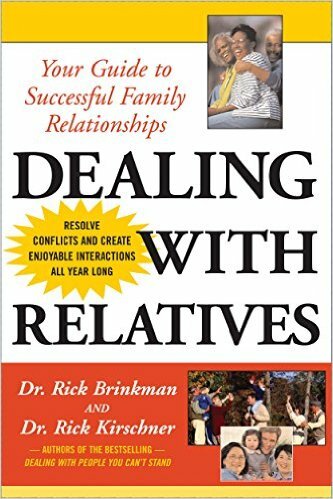 My coauthored book, ‘DEALING WITH RELATIVES’ for Kindle is available for the next 3 days FREE at this link! 1. Go “buy” the free version and leave a review. This is important! Reviews are HUGE to promote books!!! See below for instructions on what makes a good review below. 2. Send the link to your relatives, to help them deal better with each other, and maybe even you! 3. Please share this post with your social network! Be specific: Your review should be relevant to the product you’re reviewing and focus on specific features or your experience. Not too short, not too long: Written reviews should be at least 20 words and are limited to 5,000 words. The ideal length is 75 to 500 words. Be sincere: We welcome your honest opinion. All my best wishes to you and yours this holiday season! I hope I’m helping you to bring out the best in people and in yourself! Previous post: Yes, Yes AND, Yes again! What does “Yes, AND…” accomplish?